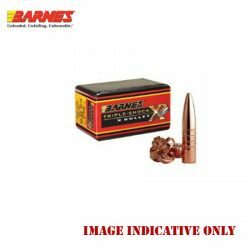 Barnes .458 300gr TSX Flat Base Projectiles. Barnes .458 300gr TSX FN FB Projectiles. Hornady 22 cal 50 gr SPSX Projectiles. Hornady 17 Cal .172 20 Grain V-MAX Projectile. Hornady 17 Cal .172 25 Grain V-MAX Projectile. Hornady 17 cal 25 gr HP Projectiles. Hornady 20 CAL .204 32 Grain V-MAX Projectile. Hornady 20 CAL .204 40 Grain V-MAX Projectile. Hornady 20 cal 45 gr SP Projectiles. Hornady 204 Ruger 24 GR NTX Superformance Varmint. Hornady 22 CAL .224 35 Grain V-MAX Projectile. Hornady 22 CAL .224 40 Grain V-MAX Projectile. Hornady 22 CAL .224 50 Grain V-MAX Projectile. Hornady 22 CAL .224 53 Grain V-MAX Projectile. Hornady 22 CAL .224 55 Grain V-MAX Projectile With Cannelure. Hornady 22 CAL .224 55 Grain V-MAX Projectile. 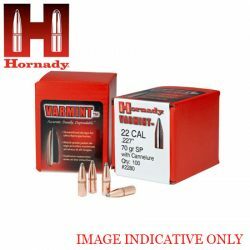 Hornady 22 CAL .224 60 Grain V-MAX Projectile. Hornady 25 CAL .257 75 Grain V-MAX Projectile. Hornady 270 CAL .277 110 Grain V-MAX Projectile With Cannelure. Hornady 30 CAL .308 110 Grain V-MAX Projectile. Hornady 6.5MM .264 95 Grain V-MAX Projectile. 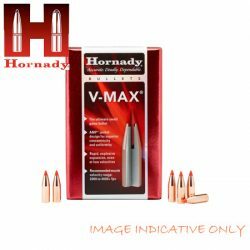 Hornady 6mm .243 58 Grain V-MAX Projectile. Hornady 6mm .243 65 Grain V-MAX Projectile. Hornady 6MM .243 75 Grain V-MAX Projectile.